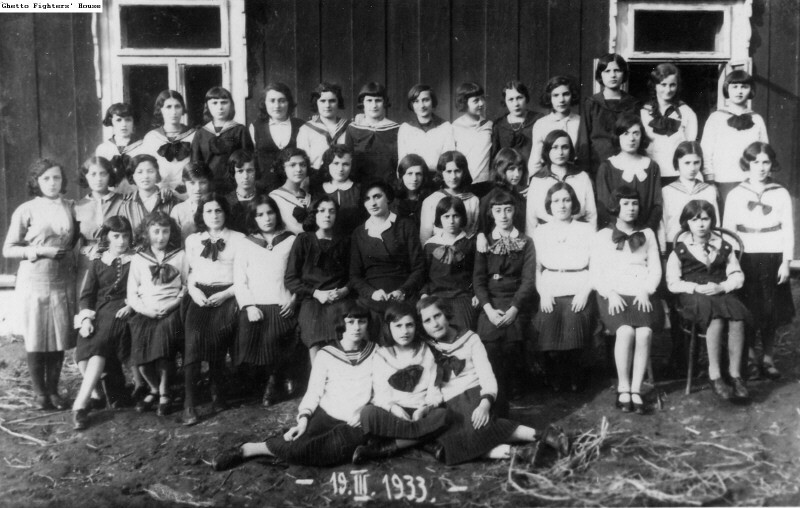 Summary: Young girls, pupils in a school of the Bais Yaakov network in Rymanów. Photographed on March 19, 1933. Document Location: Ghetto Fighters House Archive, Item #30016.